Conveniently located off Interstate 70, this Wingate by Wyndham Garner/Raleigh South is near Raleigh Convention Center, Downtown Raleigh, North Carolina State University, Time Warner Pavilion, museums, and many local restaurants. 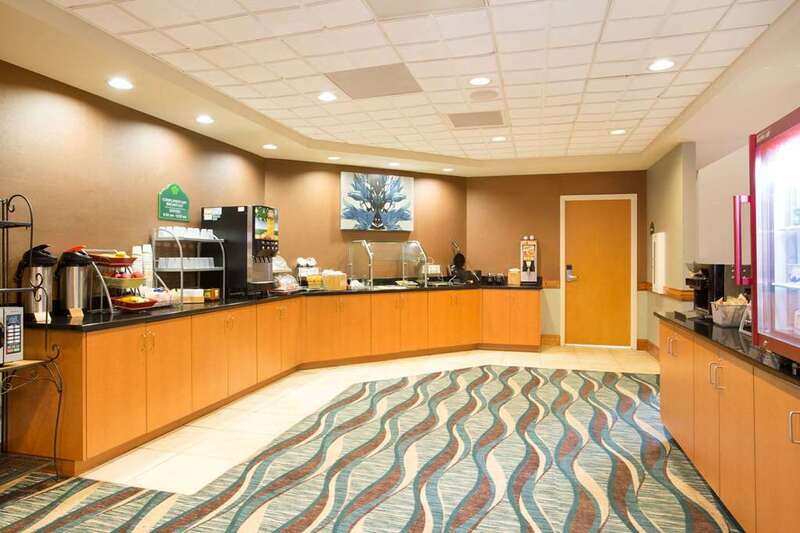 Ideal for both work and play, this smoke-free lodging offers complimentary deluxe hot continental breakfast, complimentary internet, fitness center, outdoor pool, dry cleaning and laundry services, meeting rooms and 24-hour business center with complimentary print, copy and fax services. There is no charge for children under 17 when staying with an adult. A Credit Card Deposit of 25.00 USD is required for incidentals.